In my Poetry Corner April 2014, I feature the poem “Saber Viver” (Learn to Live) by one of Brazil’s great twentieth-century poets, known by her pen-name, Cora Coralina (1889-1985). Baptized Ana Lins dos Guimarães Peixoto, the poet adopted the name at fifteen years old when she began writing her first poems. It was her way of hiding her identity. In those days, “proper young ladies” did not waste time writing. Cora comes from coração (heart) and Coralina from the red coralline algae: red heart. Born in the small town of Goiás Velho, then the capital of the State of Goiás, Cora Coralina knew from an early age that she was a poet. But, given the times, she lived more of a domestic than intellectual life. At the age of twenty-one, she deferred her poetic aspirations to move to the State of São Paulo with her husband and to raise a family. Though facing a harsh and busy domestic life, she found time to write. removing stones and planting flowers. 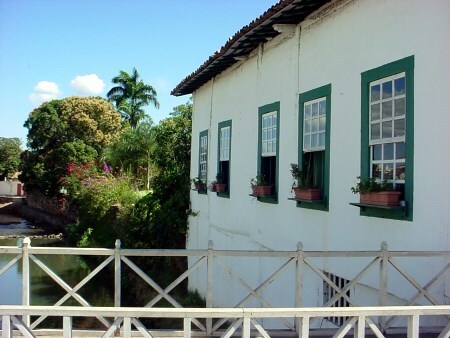 In her late sixties, twenty years after her husband’s death, she returned alone to her family’s home in Goiás Velho to begin a new life as a poet. She supported herself by selling her homemade sweets. When she published her first collection of poems, Cora Coralina was seventy-five. even when everyone says it’s impossible. Concerned about understanding her world and her role in it, Cora wrote about the simple things of everyday life. The context and lyricism of her poetry overshadowed her poor grammar. Knowledge we learn with the masters and books. Wisdom we learn with life and the lowly. My dear friend Cora Coralina: Your “Vintém de Cobre” (Copper Coin) is, for me, a gold coin, and of a gold that doesn’t suffer from market fluctuations. It’s the most direct and communicative poetry that I’ve ever read and loved. What wealth of human experience, what special sensitivity and what lyricism identified with the sources of life! Cora Coralina died on April 10, 1985 at ninety-five years old. You can read Cora Coralina’s poem, “Saber Viver” (Learn to Live) in its original Portuguese and English versions at my Writer’s Website. Note: Quotations and excerpts of poems by Cora Coralina (translated by yours truly) were found at kdfrases.com. To live with intensity, as she puts it in the poem, is always an act of great courage. Thanks for posting this, Rosaliene. Thanks for reading her work, Dr. Stein. She was an amazing woman. Her courage to pursue her dreams in her late sixties is a great inspiration for me. Thanks Rosaliene for another interesting entry. Cyril, thanks for sharing Cora Coralina’s poem with your readers. Thank you, Charlotte. So glad to know that Cora’s words touched you today. She was an amazing woman. How inspiring. Life is never a lost,never a failure if we so desire. Thanks Rosaliene for sharing. Thanks, Nelo. So glad you also found her work inspiring. Thanks, Angela. Cora Coralina is an inspiration. Thanks for sharing my Poetry Corner on Cora Coralina with your readers. Thank you Rosaliene for introducing this wonderful poet to us. I love the name she took so thank you for explaining the meaning. The verses you quoted are all so open and direct from her life and heart. Treasures like this are wonderful to find. Thanks, Miriam. Cora Coralina was a wise and amazing women. She’s also a great inspiration for those of us who think we’re too old to chase the unfulfilled dreams of our youth. I don’t believe we ever are too old as long as we have our full capacities. Think of the fullness of experiences that will grow as years do. Quite a well of good. What a great story Rosaliene! Thanks, Mike. This is my most read post. Cora Coralina was an amazing woman and an inspiration to all of us who think that we’re too old to pursue our dreams. This is an excellent article, I enjoyed the read, the knowledge dispensed, so I am going to reblog this for you and I am now going to go check out your (writers website). In addition to Coralina’s complete poem, “Learn to Live,” readers can also access free information and tools on doing business with Brazil, the United States, and the Caribbean Community. Isn’t it? She was an amazing woman. She has been my inspiration in moving forward with my own writing.